The third story is already covered in the story of Google Maps. In the previous article, we said that after the release of Google Maps, although there were only two countries in the United States and Canada, it still caused a lot of attention. If you haven't seen it before, welcome to make up the class. Jonathan Rosenberg, born in 1961, studied MBA at the University of Chicago and earned a Bachelor of Arts degree from Claremont · McKenna College (the top private liberal arts college in the United States). In 2002, he joined Google and relied on his extraordinary insight and forward-looking vision to lead the design and development of search, advertising, Gmail and more. The newly released Google Maps is great, but it can be done better. What I really want is a map like this: you can see at a glance all the properties that are being sold in Silicon Valley this weekend. This data can be sent directly to one of my devices, and then I can drive and follow the navigation to see the room. That was in 2005, the iPhone was only two years old, why did Rosenberg say this? Because he saw a few new things. This method is too stupid. There should be a unified map, all the houses to be rented are marked on it, I can search directly by map, at a glance. The Google Maps released in 2005 made Rademacher shine: this is what I want! So he cracked the front-end code of Google Maps, mapped out the map data, and then grabbed the property information on Craigslist and marked it on the map according to the corresponding geographical location. Three days after Google Maps was released, housingmaps.com went live. Obviously, Rademacher just gave Google Maps a layer of skin and labeled the property information. Technically, this is just a small idea, but in terms of usage, this is a lot of money — — no one has ever thought of having such an intuitive way to maintain and view property information. 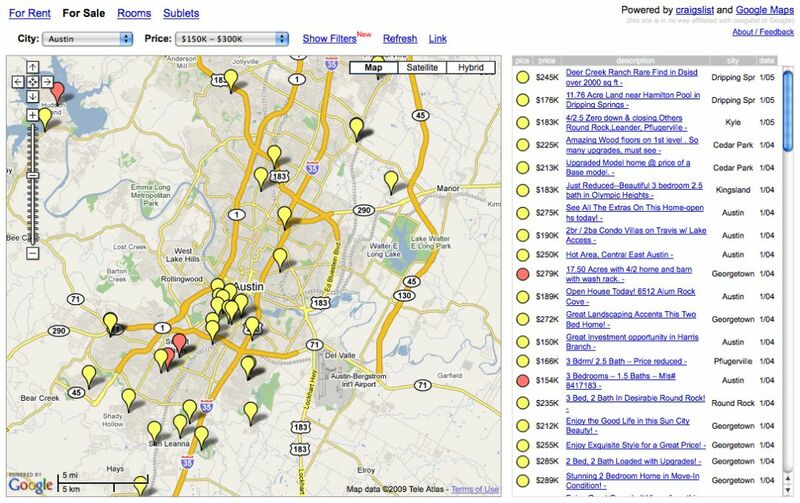 In the evening, thousands of people in the Bay Area have used this site to view property information. Google also noticed the site, which was mentioned in an internal email. The next day, Google Maps people received another email. There was originally a guy named Adrian Holovaty, a programmer and musician who also cracked the code of Google Maps and made another version of Google Maps in line with the government's public criminal record: mark the Chicago area directly on the map. Distribution of criminal records. 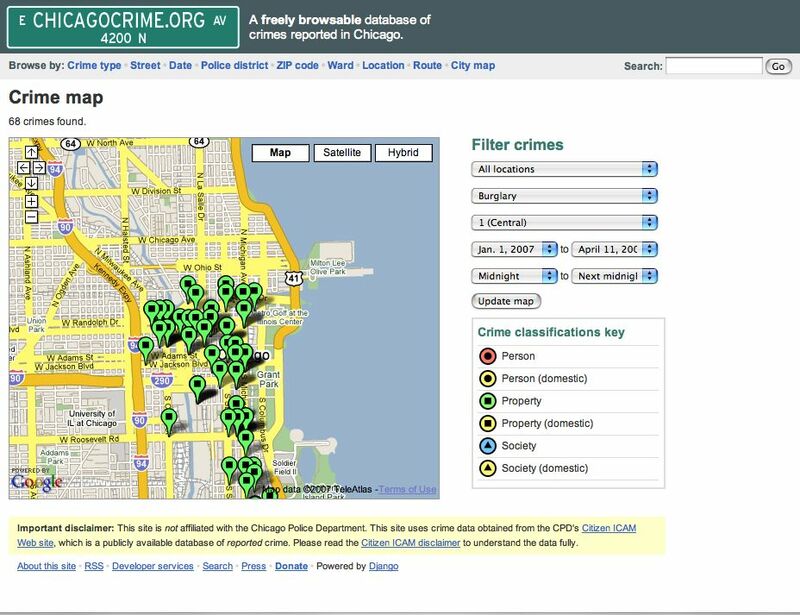 This website is called Chicagocrim.org. Needless to say, it has also spread rapidly, and a large number of similar projects have appeared. “ This will not work! & rdquo; Bret and Jim of the Google Maps team quickly realized this. The front-end code of Google Maps has been cracked, posing a huge threat to the infrastructure and data of Google Maps, and the people who want to crack are still emerging. In Google Maps, they don't know who these people are, where they come from, and what they want to do. For this kind of problem, Bret and Jim are not blindly blocked, but the idea is dredging, so they quickly fix the system's loopholes and quickly draft the official Google Maps service, so that developers can conveniently use Google Maps in a predetermined way. At the same time, there are detailed documents for reference. To use this service, developers must sign up for an account and sign an agreement to get an access token, which limits malicious abuse. It was the inspiration of Rosenberg that the request was made by these two websites. However, Rosenberg apparently looks farther. In his vision, the map should not only be able to be labeled, but also interact with other data sources and interact with other devices. So, in June 2005, Google officially released the entire Maps API. To the surprise of Keyhole, the Google Maps API turned out to be free. Be aware that Keyhole survived by selling software licenses. Nowadays, Google Maps is very popular. How can it be free based on its secondary development programs and websites? Even if the website that requires these secondary developments in the registration agreement must share the data with Google. According to the service agreement at the time, Google provided data to everyone in a free and one-way manner. Great business opportunities are wasted. But on this issue, the opinions of Page, Brin, Mei, and Bret have all remained the same. In the eyes of Keyhole, Google always maintains a "freedom" trend, so Bret never thought about letting those developers share data with Google. Therefore, even popular websites such as Yelp, Zillow, Trulia, Hotels.com, and even the popular Uber and Lyft are heavily dependent on Google Maps, but Google does not ask for their profits. Because this is not in the spirit of Google. Today, Google’s spirit of the free Google Maps API is a powerful tool for Google’s early contact with developers to build community influence. After all, Google only had search and Gmail at the time, and although the word of mouth was good, it was unlikely to be played through the API. But today's big Mashup (service mashup) is in fact common to those sites that were developed in the early days of Google Maps. After the release of Google Maps in 2004, map services quickly became popular. Microsoft and Yahoo are all gearing up and ready to enter the field. On March 28, 2005, The Wall Street Journal published an article: On the map, Microsoft intends to compete. Bill · Gates retired for 7 days, read a 300-page report and thought about Microsoft's future. Gates selected the key project of the future: Virtual Earth. According to this project, future map services will provide travel directions, traffic conditions, real-time streetscapes, and much more. “I am very optimistic about its prospects,” Gates said. According to the report, Microsoft has attached great importance to this project, and several teams including the research department have been involved. This report made John nervous. Because before, Keyhole's team had dealt with Microsoft. Microsoft's management, Vic Gundotra, demonstrated Keyhole's EarthViewer within Microsoft and even promoted it at Microsoft developer events. 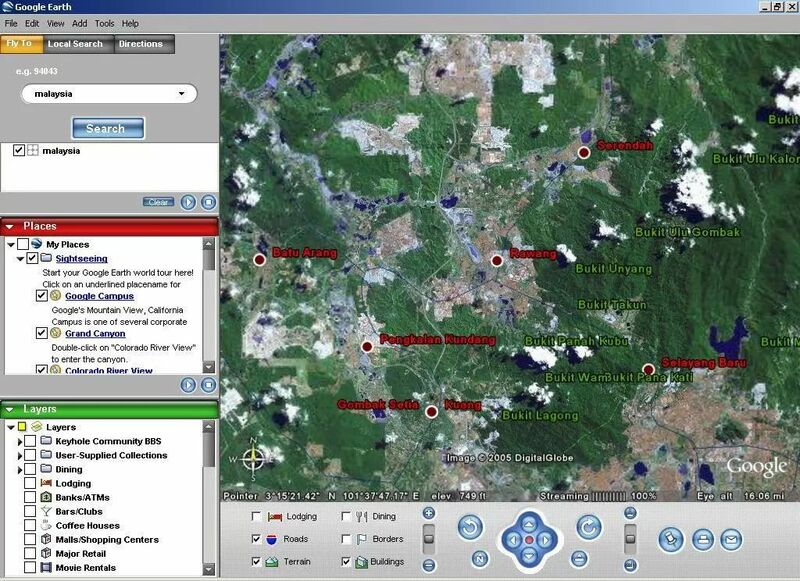 Keyhole also sent people to Microsoft headquarters to optimize EarthViewer for Microsoft's operating system, so Microsoft people are familiar with EarthViewer. 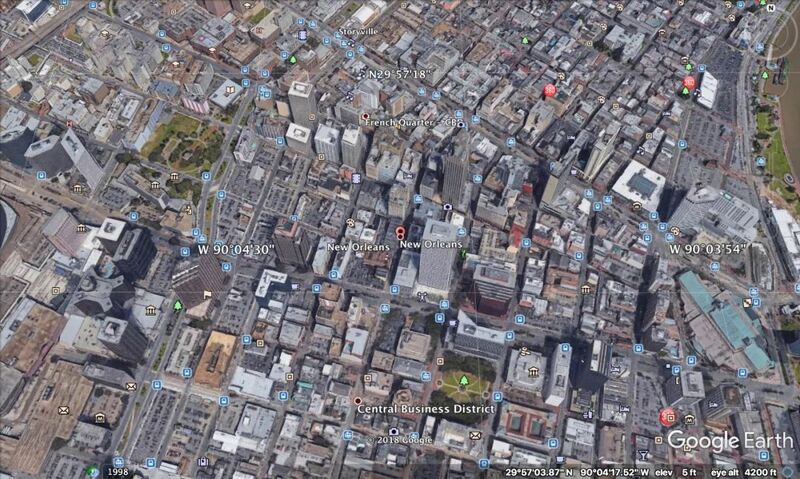 Right, Google Maps is perfect, rest assured that the bubble continues to expand. Google people can do anything, so don't ask Google what the stock price is, just buy it. Inside Google, you can already feel the pressure. The emails marked "Accelerate", "Emergency" and even "All-in-one" have appeared one after another, the budget is already sufficient, and now doubled. The number of people has grown rapidly. Keyhole has only joined 29 people when it joined, and has expanded to 200 in the past six months. The request for additional heads is still approved. Previously, John Hanke had been in a rather awkward position. In nominal terms, he is the general manager of Keyhole. But Google Maps has three teams: Keyhole, Google Local, and Where2 Tech. Among them, Keyhole reported to John, Google Local reported to Marissa Mayer, and Where2 Tech reported to Bret (Bret reported to Mei Jie). Although the reporting line is very clear, but the cooperation is always a bit awkward, Mei Jie has not given up the idea of ​​fully controlling the map team. Now, John and the Keyhole team saw an opportunity. Therefore, based on their experience and thinking in the map industry, they wrote a number of emails to Brin, Page, and Schmidt to explain the strategies and tactics of Google Maps. At the same time, John based on reports from Microsoft, inferred the way and price of cooperation between Microsoft and aerial picture and satellite image providers, and evaluated the capabilities of these service providers. According to John's plan, Google should speed up the release of its own version of EarthViewer software. The Keyhole, Google Local, and Where2 Tech teams must be integrated. At the same time, they must make great efforts to enrich their data. He also lists important maps. A list of service providers. By the summer of 2005, all Googlers received an email: Google wanted to create a new product line, Google Geo, and the previous Keyhole, Google Local, Where2 Tech teams were fully integrated. John became the leader of this new product line, and Brian McClendon, former vice president of engineering at Keyhole, became the target of all technical staff. John's report is for Jonathan Rosenberg, vice president of product strategy at Google. The relationship between him and Mei Jie, who had been plaguing John before, is now completely gone. Mei Jie has already gone out, even though she is unwilling and has nothing to say. Not everyone welcomes this decision. Bret, Jens, Lars, and many others disapprove of this, they all think they created Google Maps. Especially Where2 Tech, they only got four people two years ago. After a while, three of them chose to return to Australia. Although they are still at Google, they are already out of Google Maps. Although Google Maps is a big success, it doesn't mean giving up the client software before Keyhole. Compared with the map in the browser, the client software has at least several advantages that are irreplaceable: rapid response, smooth experience, 3D terrain display, GIS functions such as ranging, local data import and export … … So, Google's browser map alone is not enough. You also need to launch a client map: Google Earth. Google Earth is not a simple replica of EarthViewer. The most notable change is that with Google's powerful search capabilities, the search panel has been reduced from a previous column to a column, along with powerful ranging and annotation tools. It is worth mentioning that Google Earth provides 10 times more satellite image data than EarthViewer, and the servers that support it are not dozens of previous servers, but tens of thousands. However, these are not enough. To publish Google Earth, there are still a bunch of questions to find the answer. First of all, what is the name of the new product? The map team wants Google to be in the name of the product, not like Picasa or Blogger. It doesn't seem to have anything to do with Google. But what is the name? Many people support Google Globe, a name that looks a bit abstract but all-encompassing, and is a good fit for Google's style of "less talk, more work". However, John chose Google Earth and hammered it. Second, how much should the new product sell? 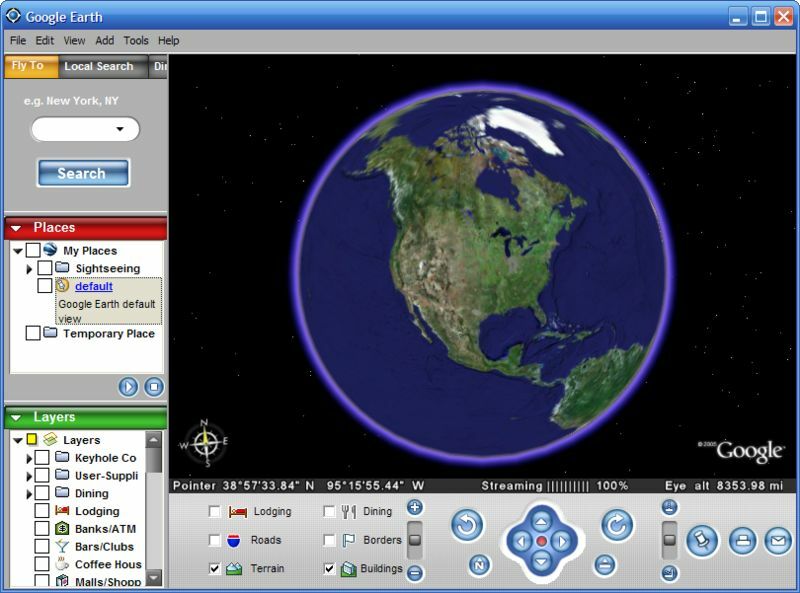 Previously EarthViewer was priced at $600 per year for the Pro version and $79 per year for the regular version. After Keyhole was acquired by Google, all prices were 50% off. However, the amount of data is ten times that of EarthViewer. How much does Google Earth sell? Brin and Page decided to open for free! 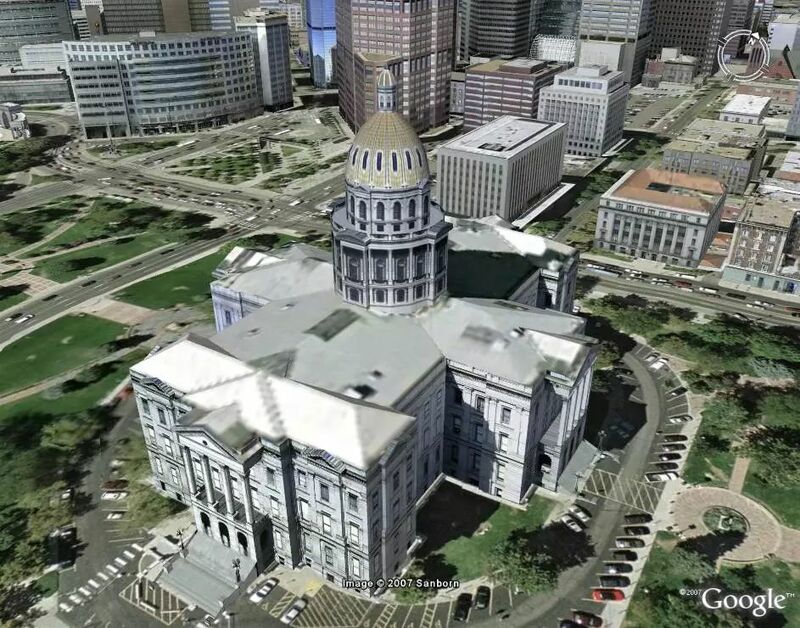 So Keyhole's people made a compromise, and Google Earth also offers a professional version of Google Earth Pro that offers even more powerful features for $399 a year. 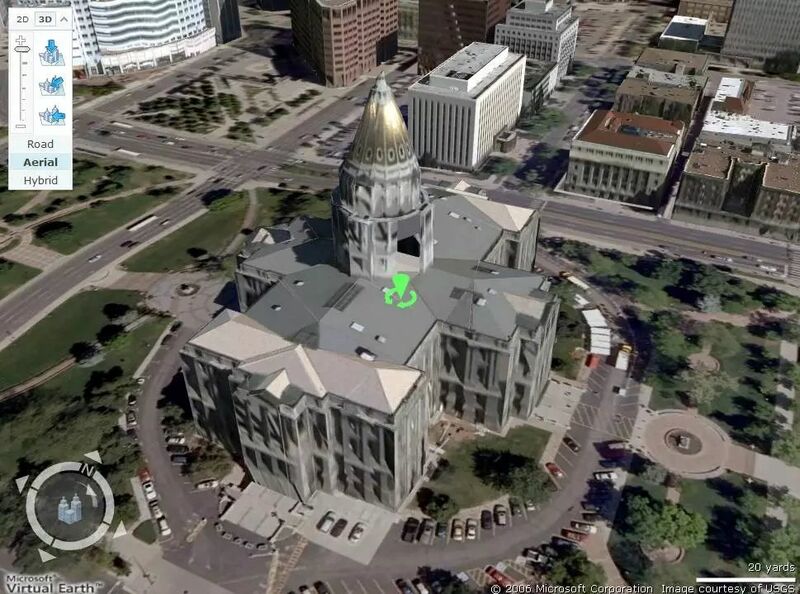 However, on January 30, 2015, Google announced that Google Earth Pro will no longer be charged and will be free to use. Again, do you want to sign up with Google Earth? According to the previous Keyhole data, only 8% to 9% of the people who visit the website will choose to download the trial because they need to register. It is estimated that Google Earth is better, and the conversion rate will probably double, between 16% and 18%. But in contrast, Picasa's conversion rate is around 35%. One big difference is that users don't need to sign up. High conversion rates are of course a good thing, but Google Earth has 10 times more data than previous EarthViewers, and it needs tens of thousands of servers around the world to support it, and it's free to use. If you don't need to register to use it, will it lead to software abuse and traffic explosion? Keyhole's team struggled for a long time before deciding: Google Earth should be available for download without registration. It seems that Google Earth has "all things are ready, only owe the wind". But Keyhole's people did not think of it anyway, Dongfeng is in the hands of their "old friends" & mdash; & mdash; Marissa. This is the case. If Google Earth is going online, you must enable the domain name earth.google.com. To enable a new domain name, you must obtain written permission from Mei. Without her permission, no one dares to be the master. But on June 27, 2005, at noon on Monday, only 12 hours from the release of Google Earth, countless articles, blogs, newsgroups were ready, and Mei Jie did not nod. As a last resort, Bill Kilday, who is responsible for the product, can only go straight to find Mei. Melissa, we need your written permission to enable earth.google.com. Ok, then take the UI review meeting on Thursday. You and John must first book the calendar and wait for confirmation. The other dozens of PMMs do this. At Google, we all do this. But we can't wait until Thursday, I need a license now. There are eight media outlets to announce at 9 o'clock tonight. John went to New York. The PR person has already prepared the contents of the Google Blog. The program has been deployed to six data centers and is only released. What do you mean? What is “ just wait for release”? What kind of joke? You haven't released a license yet, you can't post it! Why don't you come to the UI review meeting earlier? The people at your Keyhole are doing this again! You guys always come with me this one! Mei’s voice was loud, and other product managers present were secretly leaving. However, Bill did not leave. According to him, he did not know how to do this: "What is Mei Jie thinking?" Didn't you say hello to Google Earth in advance? Or is John the boss of the popular Google Geo and she is out? ……” In any case, Bill did not leave, nor did he get angry. No problem, I am happy to participate. I need to talk about background here. Google’s “old people” represented by Mei’s sister has been whispering to Keyhole’s people. Google is a young and talented young man. By contrast, Keyhole belongs to the “Grass Team” and the age of the people is too large (Pec and Brin were born in 1973, Hanke and Bill were born in 1967. Another candidate for the previous Hanke position, Bret Taylor, was born in 1980). More importantly, Keyhole is still maintaining and selling EarthViewer despite the team being acquired. In Google's "old people", Keyhole's people will open a small stove, giving priority to the best map data for EarthViewer, and then use it for Google Maps and Google Earth. Although Keyhole people think this is a fantasy, they can't convince Google's "old people" &mquo;— this example fully demonstrates how important trust between teams is, and the lack of trust will bring about a lot of contradictions. The storm was in the storm, and finally Google Earth was released. The original version of the package was 28MB in size, and Google used hundreds of thousands of servers to support it, with tens of thousands of servers dedicated to providing map data. In the 24 hours after the release, the number of downloads exceeded 450,000, and in the 28th hour, the download exceeded 500,000. Be aware that the Keyhole team spent two years before getting EarthViewer to download 500,000. Media reports have also followed, not to mention the words of beauty. However, the music is very sad, the rushing traffic finally rushed to Google's defense on Wednesday night, Google Earth is temporarily unable to use, and for a while to continue the fate of "online-downline", even if Google has Tens of thousands of servers participating in the support will not help. On the seventh day, the engineer finally thought of a solution and completely solved the problem. After that, the daily download volume is between 300,000 and 500,000. Faced with these numbers, Bill remembered his previous conversations with Brin and Page. Revenue of 10 million US dollars, or the development of 10 million users, which target do you prefer? For the Keyhole team, after one year, do you want us to achieve $10 million in revenue or 10 million users? I think that you guys should consider a much bigger problem than this. On August 25, 2005, Hurricane Katrina attacked New Orleans and the government dispatched a large number of forces to rescue the victims. The Google Geo team believes they should contribute to disaster relief. So they speeded up the image update in New Orleans and provided high-resolution images for disaster relief and evacuation. They then discovered that the quickest way was to provide an image of a location directly from a separate KML file, so that you don't have to wait for a full update of the map. What they didn't expect was that Google Earth greatly improved the efficiency of disaster relief in a completely unexpected way. The thing is this: the Coast Guard is involved in disaster relief. They have their own system for geographical location, using descriptions such as latitude and longitude and location coordinates. But when people call for help, they often only say which street they are on, or “two blocks east of Charles Square”. If you call 911, the operator asks “Speak your latitude and longitude”, which is something that no one can imagine. However, without latitude and longitude, only the block, the street, and the house number, the Coast Guard's ground and air rescue team could not find the direction. I don't know who thought of Google Earth, but this idea definitely helped the disaster relief. After the rescuer sends out the message, the Coast Guard dispatcher directly enters the address, and the latitude and longitude can be found, and the rescuer can quickly locate the location. After the location is located, rescuers can locate obstacles and plan routes based on the latest satellite photos, which greatly enhances the efficiency of rescue. According to people involved in disaster relief, Google Earth helps to save hundreds of lives, so they want to be especially grateful. This is of course a good opportunity to promote Google Earth, and Keyhole people have seen this opportunity. However, Google people don't want to borrow this opportunity from top to bottom. No, this is not the way we do things. We are not willing to marry such a hot spot and shape ourselves as a behind-the-scenes hero. Page and Brin will not agree. Unwilling to advertise does not mean that Google is unwilling to participate in such an event. In 2005, a female environmentalist named Rebecca Moore contacted the Google Earth team to express their gratitude. Rebecca Moore has been fighting the timber company to protect the vegetation of Santa Cruz Mountain (a one and a half hours drive from Google headquarters). The timber company’s open letter to local residents promises that logging will only have minimal impact on the lives of local residents and label the area where logging is done. Previously, environmentalists had no way to accurately monitor whether timber companies fulfilled their commitments because the requirements for field measurements were too high. But now, with the satellite maps provided by Google Earth, the scope of the felling is unobstructed, there is no occlusion, and there is no possibility of controversy. Even the transportation methods and transportation routes of the wood were recorded, and Moore et al. produced a 3D demonstration detailing what the timber company did. At the town’s hearing, the follow-up logging plan was rejected on the spot. After knowing this, Google’s people did not choose to avoid suspicion, but instead recruited Moore to the company. Moore reports to Brian and leads a team to explore the various uses of Google Earth in the environment. In their own words, they want to “make a live, real-time updated dashboard for the planet”. In fact, the use of Google Earth is not limited to environmental protection, new species, new islands, migration of species, and so on. As the number of users increased, endless uses were unearthed, and even a legendary experience was filmed. Born in India, Saroo Brierley accidentally boarded a train at the age of five and has since been separated from his family. The train took him across the whole of India to Kolkata, and he was adopted by the Australian couple. After growing up, Saroo relied on the information provided by Google Earth to survive the hardships and eventually found the family he was born with. Later he wrote this experience into a book: A Long Way Home. Paramount Pictures made it into a movie, named "The Lion." In 2016, "The Lion" won the Oscar for best film nomination. Some viewers joked that this is "a purely Google Earth promo". 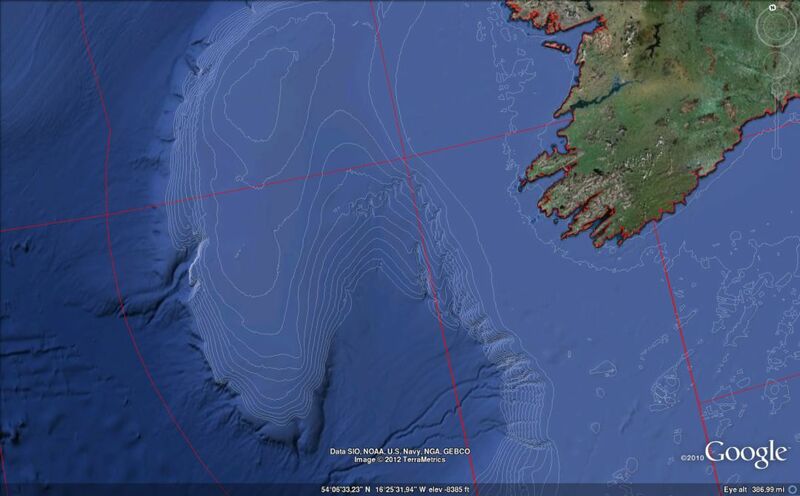 In 2011, the Google Earth team made persistent efforts to launch Google Ocean. This time, the map is no longer confined to the above sea level, but also includes underwater information, you can see underwater scenes, you can also see the seabed. 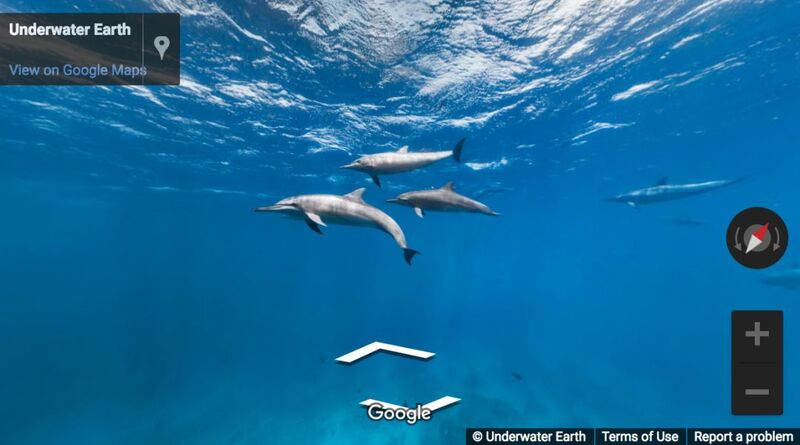 Today Google Ocean is no longer a separate product, but is merged into Google Earth. If you visit Google Earth, select Ocean View and you will see information below sea level.